Calligraphy was initially a challenge I set myself to learn in my 30 before 30 list. It was added to this list after attending the beautiful wedding of some friends where the bride had written all the menus and place names herself to a flawless standard. Such a lovely personalised added touch. 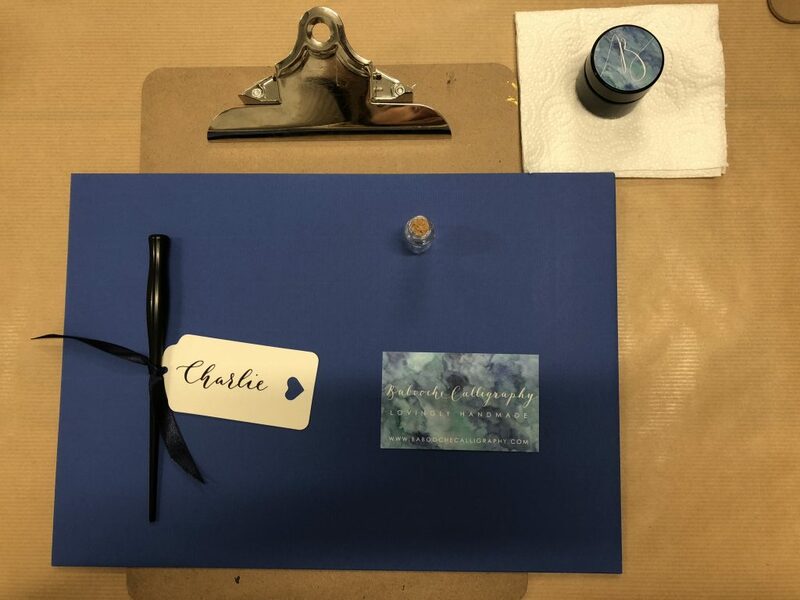 To help me on my quest, my partner bought me a place on a modern calligraphy evening session at Quill London. I found during the couple of hours I was there that I actually find calligraphy extremely therapeutic. I mean, I have a long way to go to be proficient but you have to start from somewhere, right? Quill has groups of around 12 people in their beginners course. It was very well run & I came away feeling like I had a base knowledge to build on. I have to admit although I did practice in the weeks immediately after the course (I even made a birthday present for a friend using my new skills), around 8 months went by without me doing any real practice. Stage two of my learning found me at Babooche Calligraphy with my mum on Mother’s Day. A very different experience to my first course but a greatly valued one. This time there were only 4 of us, plus Asha our teacher. We again went over some basics, including some that I realised I had felt I missed the first time around. 2.5 hours later I came out feeling even more accomplished than before. Babooche felt like we had Asha’s undivided attention. With a small group it was much more relaxed and we were free to chat and get to know each other a little. I am still very much a beginner at this beautiful art form but look forward to progressing my skills. 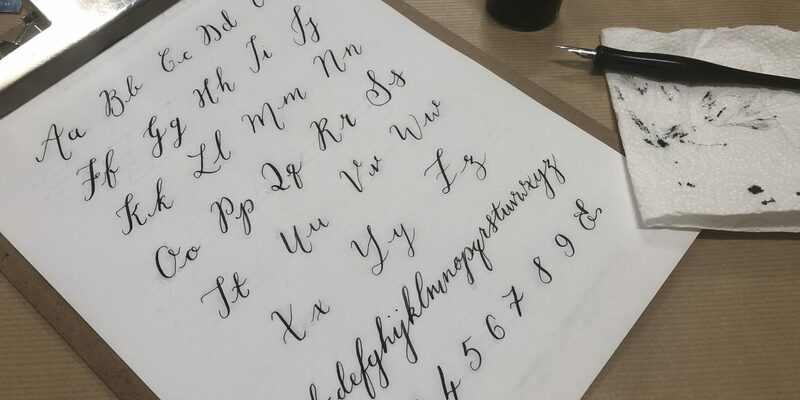 If you are creative then I highly recommend learning calligraphy and would definitely recommend Babooche to anyone looking for a course in London. The creative adult is the child that survived!